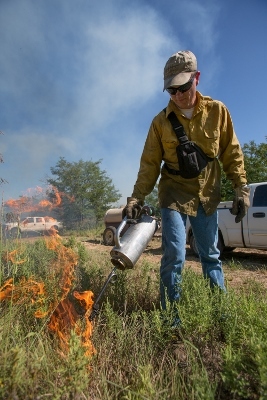 Prescribed Burning is an effective land management tool. It provides multiple benefits for both land and wildlife. But without liability protection, a prescribed burn could be very costly for the landowne r conducting the burn. The Bramlett Agency, through Midlands Management, offers Prescribed Burning Liability Insurance for the protection of landowners and lessees who have a burn plan(1) prepared. This coverage, which is not usually provided in a homeowners or farm and ranch policy, allows landowners and lessees the ability to conduct a burn on their property. **Property and Casualty Liability program with Essex Insurance Company who holds a security rating A = Excellent, XIV (14) is a numeric rating depicting the size of company (15 being the largest). Once completed, send to Jake Bramlett.